Shared web hosting is a virtual hosting server where in single server more than one websites are hosted using shared hardware resources. Generally the number of shared user is three in various popular shared web hosting services but may be vary according to their infrastructure. So question is that what is limit of a shared web hosting severs or how much traffic can a shared web hosting server handle? Then the answer is dependent on your website weight, let’s see how much traffic can your shared web host server handle. Before going in detail clear a thing that, website page weight leads here for a traffic management. Because the more page weight puts more load on your server to serve the pages to visitors. Pages weight less than 1 MB is considered as best size because the average page weight should not exceed 1 MB, otherwise you will see sluggishness in your blog’s pages while they are serving to your visitors. So, what are the limits of a shared web hosting server? Is unlimited really unlimited for you? Then understand that unlimited does not means that you have unlimited support. There are positive limits on internet speed, monthly bandwidth, disk storage, numbers of database and how much traffic can your blog or website handle. After get into such limits your traffic is also shared here and comes in limits which all are dependent on these positive limits. The main ways you can calculate how much traffic your shared server can handle by simple sums. Example, you can ask your web server provider about soft limit of unlimited bandwidth and their maximum internet speed which they use in their shared servers. Normally soft limit of bandwidth is 20 GB to 40 GB and internet speed is 10 Mbps to 15 Mbps average. So finally with these hardware resources, you may handle that much traffic. But really that much traffic your shared server can handle, because the answer may be hypothetical. The platform of website, numbers of plugins and applications, website software and so many files which are heavy to get loaded inside the server takes some time. 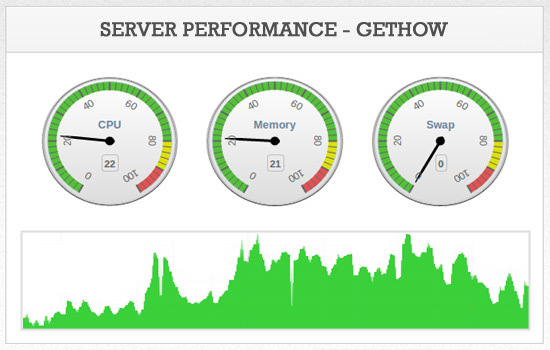 Such processing time leads a slowdown in your shared web host server. Your web pages are not accessed from one location it is accessed from worldwide countries also. Thus go to sum number two is for dividing your burdens. Divide the final answer with 10 to get rough answer. We have chosen number 10 to divide it because there are average 10 reasons which makes your blog to load late in your server. Thus, average 250K and above traffic can be handled by your server monthly. Don’t think that your blog or website only handle about 250k traffic only because if your website is faster and small in size then chances are high that you may capable of receiving more traffic. Make your web faster and smaller in size or use cache techniques to less down load on your server. Use less or compressed images in your blog or site. Make your theme or site design optimized and error free. These techniques will sure help you to make your web faster to access and easier to plan and use your blog or website ahead these shared limits of shared web host servers. Very usefull calculation of bandwith. Thank You Sanjeev for your precious comment. I hope this is helpful to you a lot.